Ladies' Man is a result of an ongoing fascination with kitsch and popular culture themes, with a fair bit of DNA from the bold, graphic asymmetry of Japanese art thrown in for good measure. 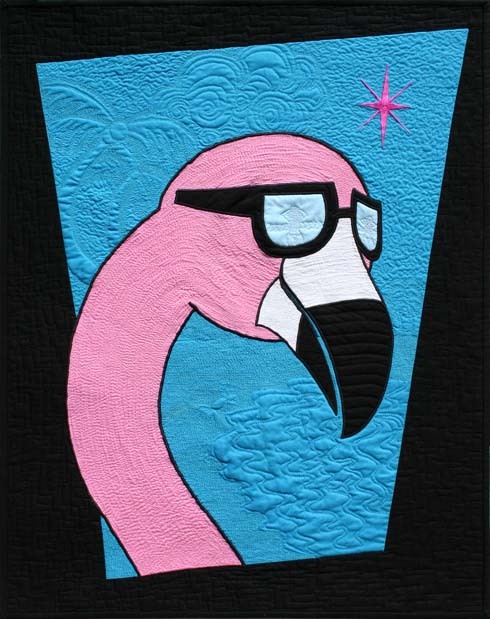 This piece fuses the striking and the silly, with subtle complexity and a few surprises imbued by the quilting. Palm tree - Observers who carefully study the textured background are rewarded with surprises, such as this palm tree.